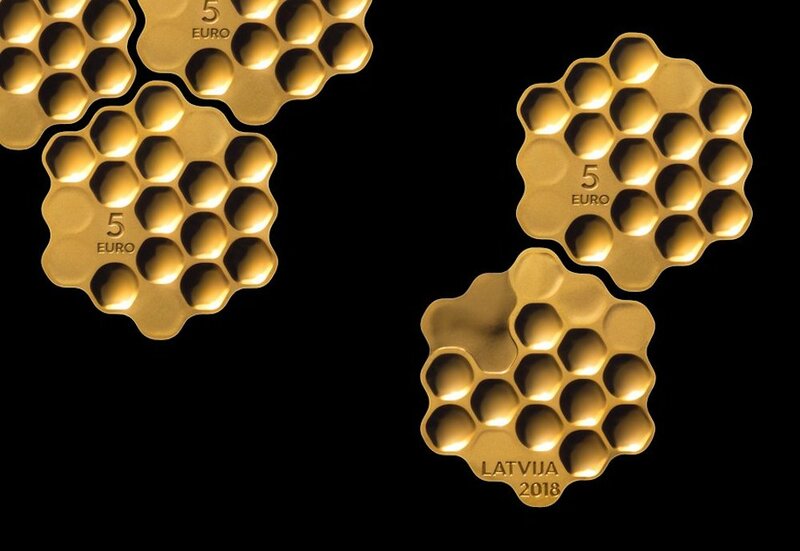 A Latvian designer is causing a buzz with a new honeycomb-shaped coin celebrating the Baltic country’s ecological treasures. 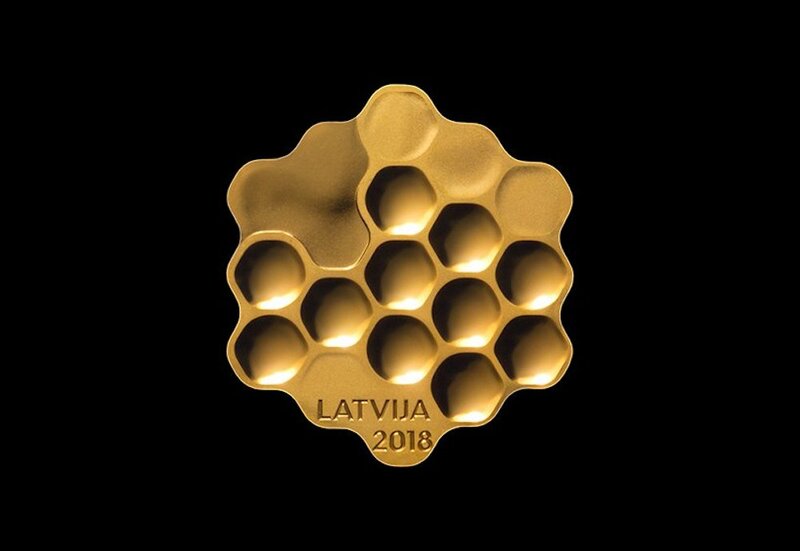 Arthur Analts, who represented Latvia at this year’s London Design Biennale, created a patchwork of golden hexagons, some filled with glistening frosted honey. 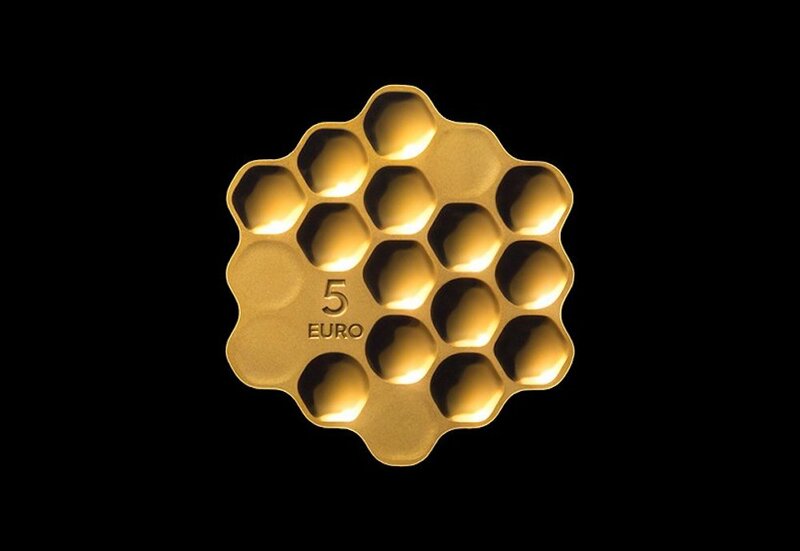 The hexagons on the back of the 5 Euro coin also mimic Latvia’s topography, complete with the gulf of Riga. The coin was issued earlier this year by the Bank of Latvia as a collectors’ item. Analts, who works at Variant Studios along with co-founder Rudolph Strelis, said that the coin hopes to honour Latvia’s ecological drive, diverse nature, and abundant resources.